This bird positively delights me. The golden crowned kinglet is one of the tiniest birds in North America, measuring only about 3.5 inches. It is marveled for its ability to survive the harshest of cold temperatures. And believe it or not, this bird WINTERS in New England! Winters!!! This past winter, I had a pair of kinglets visiting my yard pretty regularly. My camera is not particularly great at capturing action shots, and their visits were usually early morning when lighting wasn't optimal, but I persisted at trying to capture these li'l cuties anyway! 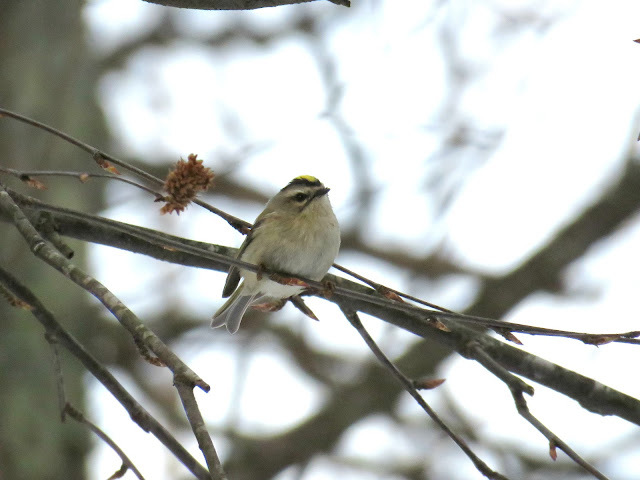 Although the weather doesn't currently feel like it in Massachusetts, the golden crowned kinglets seem to have disappeared, so it is just another sign that spring is on the way. 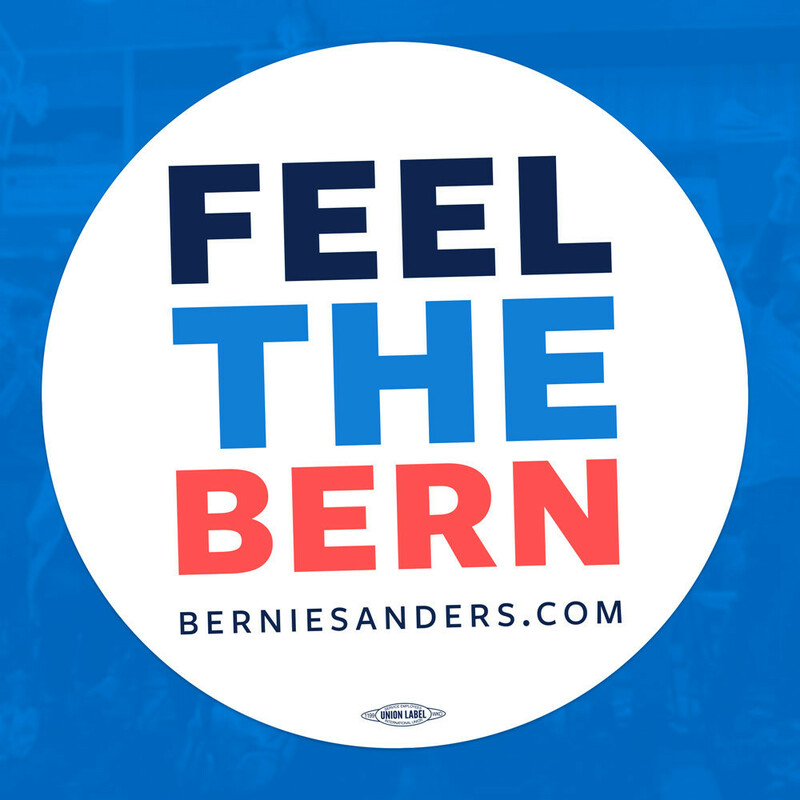 I hope you'll stop by on Monday to see what flies in with the letter H! Today's earrings are a simple pearl bead weaving design. 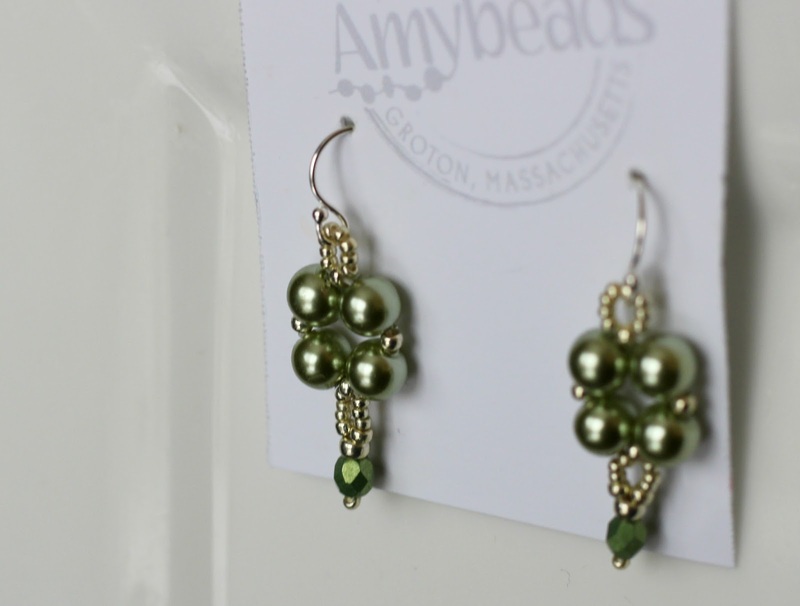 Please leave a comment to be entered in a drawing to win 7 pairs of earrings. 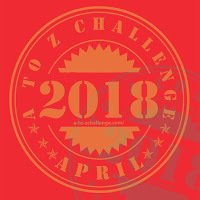 Drawing will be held at the conclusion of the A-Z blogging challenge. What a cute fluffy little birdie! So adorable! Oooh! like the earrings! Green is my favorite color. 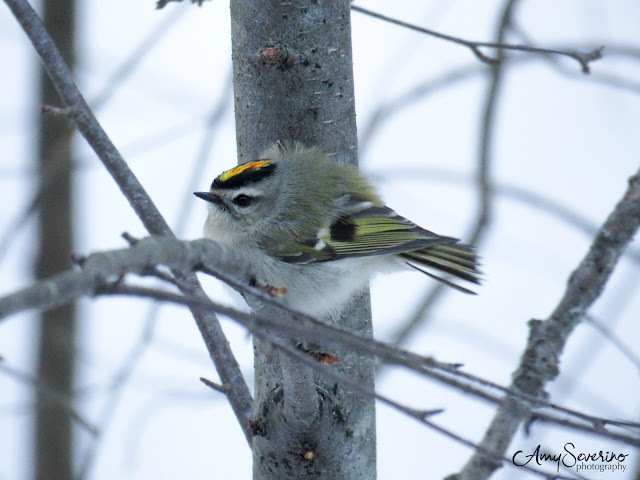 And what a darling little creature is the Golden Crowned Kinglet! I'd never heard of him. Thank you for stopping by Gail! Thank you for stopping by Liz! I'll be sure to also check out your blog and my teenage son is an aspiring poet so he may be interested in taking a look too. In fact, now that I'm writing all this, I should have suggested he do a little A-Z challenge! That picture of him gettting ready to leap looks like a cartoon...in the best of ways :-) Sweet little earrings to go with a sweet little bird!